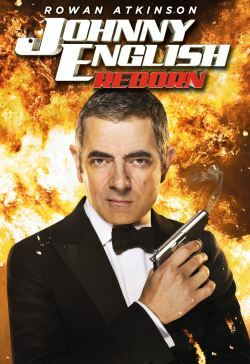 Rowan Atkinson returns to the role of the accidental secret agent who doesn't know fear or danger in the comedy spy-thriller Johnny English Reborn. In his latest adventure, the most unlikely intelligence officer in Her Majesty's Secret Service must stop a group of international assassins before they eliminate a world leader and cause global chaos. In the years since MI-7's top spy vanished off the grid, he has been honing his unique skills in a remote region of Asia. But when his agency superiors learn of an attempt against the Chinese premier's life, they must hunt down the highly unorthodox agent. Now that the world needs him once again, Johnny English is back in action. With one shot at redemption, he must employ the latest in hi-tech gadgets to unravel a web of conspiracy that runs throughout the KGB, CIA and even MI-7. With mere days until a heads of state conference, one man must use every trick in his playbook to protect us all. For Johnny English, disaster may be an option, but failure never is.